Oscar statues stand at the entrance to the Dolby Theatre as preparations continue for the 88th Academy Awards in Hollywood on Feb. 27, 2016. TORONTO — Canadian filmmaker Deepa Mehta always thought it was wrong that there was no code of conduct for members of the Academy of Motion Picture Arts and Sciences, the body that oversees the Oscars, especially when it came to sexual misconduct. "It was an unspoken thing that it will be tolerated, and really perhaps nobody (would) believe the women,'' said the writer and director of the Oscar-nominated "Water,'' who is an academy member herself. 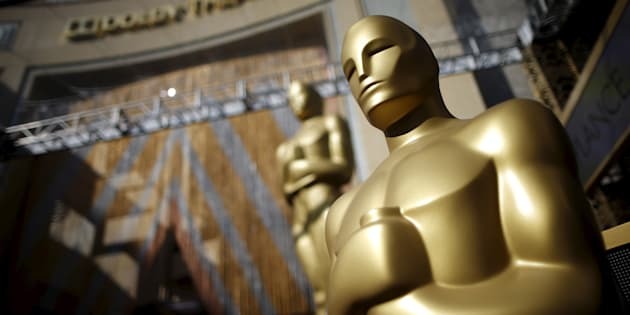 That changed on Wednesday when the academy announced its first code of conduct for its 8,427 members, one that states its board may now suspend or expel those who violate the code or who "compromise the integrity'' of the organization. "There's something that Gloria Steinem said: 'The truth will set you free, but before it does it will piss you off,' and I think that's where we are at,'' Mehta said from Toronto. Harvey Weinstein was expelled from the Academy in October. "There is no place in the academy for people who abuse their status, power or influence in a manner that violates recognized standards of decency,'' reads the statement. Toronto-based sound editor Jane Tattersall said a code of conduct seemed an obvious move — but a necessary one. "I thought, 'I hope you wouldn't tolerate this behaviour anyway, but why not be specific about it? It doesn't do you any service to not say these words, not to put in writing that this is wrong,''' said Tattersall, who became a member of the academy earlier this year. Sexual harassment and assault allegations have been pouring out of the industry for months now, and many organizations have revisited their codes of conduct or policies surrounding the problem. But it seemed to send a big message to many in the industry when such a storied institution explicitly released its first set of rules. "The academy is an incredibly well respected institution and symbol of the entertainment business, of Hollywood,'' said Tattersall. "The fact that they're making the statement, I think, is a comment about the brand of the academy and how much they want to maintain it. Montreal casting director Lucie Robitaille, who was made an academy member in 2015, said she was surprised the academy never had a code of conduct. "For me, it's obvious that if you're going to be in the academy, to follow these rules,'' she said. Having such a code on the record "solidifies the things that people have been saying over the past few months, like 'enough is enough,''' said Tattersall. 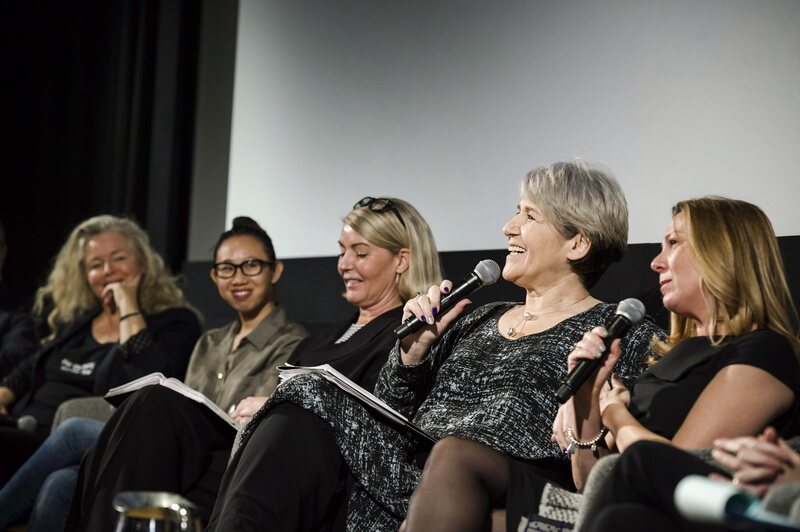 Theresa Tova, National Treasurer and Toronto President of ACTRA, speaks at an event entitled "Confronting Sexual Harassment in the Industry" at the TIFF Bell Lightbox in Toronto on Dec. 1, 2017. The move was also applauded by the union representing Canada's performers, ACTRA, which is working with other stakeholders here on an industry-wide code of conduct. "It is positive to see the academy take this step and we know there's a lot more work to do in making sure zero tolerance is a reality in our industry in Canada,'' David Sparrow, ACTRA national president, said Wednesday in a statement. Other praise came from the Academy of Canadian Cinema & Television, which noted it is also engaging its membership directly and developing a code of conduct of its own. "With the support of New Metric Media and Nordicity, a consulting firm which specializes in strategy and policy, we will be canvassing our membership to develop a code of conduct that speaks to us,'' Beth Janson, CEO of the Canadian academy, said in a statement. The more organizations that make these public proclamations, the more it will become the norm that sexual misconduct is not allowed, said Tattersall. "When I hear some of the stories, I think, 'Oh my god, people thought they could do that?' And obviously they did,'' she said.